In a Nutshell: In a digital world, we’re accustomed to instant access to everything — including our financial information. And that accessibility is precisely what CountAbout users can count on. The financial management platform makes it easy for users to track — and understand — their finances. CountAbout subscribers enjoy an ad-free experience, and their information is protected by robust cybersecurity measures and never sold to third parties. And soon, the CountAbout mobile app will offer users even more of the same functionality that the website provides, further enhancing the accessibility and security of their financial information. Joseph Carpenter co-founded CountAbout after seeing a void in financial management apps. The platform and mobile app help users take an active approach to managing their finances. The developers have been attentive to suggestions and requests from subscribers, and have created a product that meets both common and unique needs. As a cloud-based app, it allows users to access their information anywhere — from any device. And most importantly, CountAbout ensures that private user information remains secure. Keeping up with personal finances is essential. Allowing yourself to fall behind can land you in a tough situation and even damage your financial independence. For example, missing a utility bill or credit card payment can lower your credit score, making it more difficult to qualify for prime loans and lines of credit. To ensure users don’t miss a beat, CountAbout imports existing data from applications like Quicken and Mint, allowing new users to get organized and running quickly. But unlike Mint, which categorizes users’ transactions for them, or Quicken, which automatically downloads and categorizes transactions, CountAbout takes a hybrid approach to money management. This system empowers users to take a more active approach to finance. It provides important reminders of recent spending habits simply by making users review and acknowledge expenditures. This process reinforces financial mindfulness and keeps users actively in touch with their situations. To ensure users understand their information, CountAbout provides color-coded graphs. These visual representations serve as indicators of how far users are straying outside their established budget or average spending. 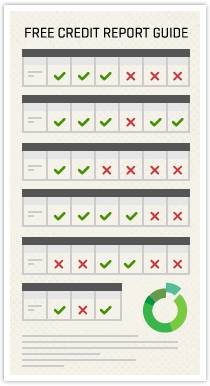 All of CountAbout’s features are user-driven. And by only implementing in-demand functions, developers avoid bloating the software with extraneous tools. Letting users guide the app’s development enables CountAbout to maintain a simple, straightforward functionality. “We have a forum where our users make feature suggestions and then vote on them. That way, we can focus on offering the things that most people need,” Carpenter said. Carpenter said the most popular aspect of CountAbout is its customizability. The platform allows users to organize their income, spending, and savings information however they wish. CountAbout users can create a customized experience and control their finances from anywhere. For example, a CountAbout user can create a category called “income.” Within that category, he or she can create a sub-category for personal income. Beneath that could be tertiary categories for individual jobs. CountAbout can accommodate any organizational needs and allows users to tailor experiences to their needs rather than working within a pre-defined framework that a company thinks is most useful. Getting started with CountAbout is just as simple; users need only add an account. CountAbout will import the financial data through a straightforward process that takes about two to three minutes. “There’s nothing magical about the Quicken data. We don’t import investment transactions, which is where the bulk of its data storage originates. The transactions themselves — simple credit card transactions or checking transactions — don’t amount to much data,” Carpenter said. CountAbout offers two tiers of service — Premium and Basic. Premium users can link their accounts and automatically download transaction data, whereas Basic users must enter the information manually. “That’s the only difference between basic and premium,” Carpenter said. And all users can purchase additional features. Popular add-ons include Attachments, which allows users to include images with transactions and costs; and Invoicing that enables small businesses and self-employed users to create and send invoices and track receivables. CountAbout is sustained entirely by these subscription and add-on fees, so users will encounter no advertisements, ensuring they enjoy a visually clean and hassle-free experience. Just as importantly, they can rest assured that their data will not be sold to third parties. 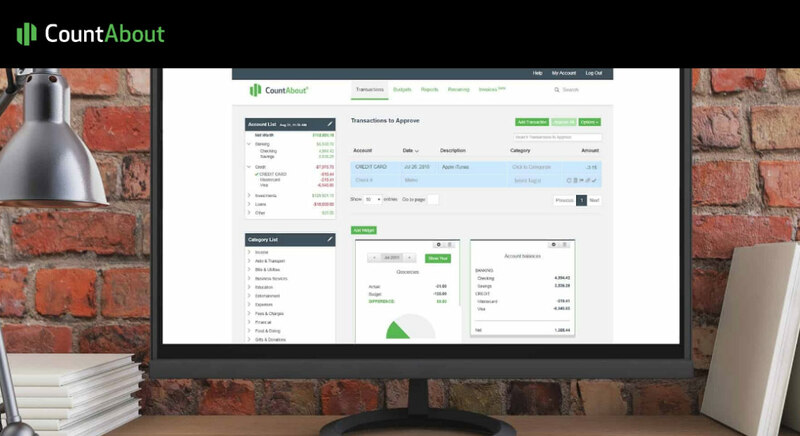 CountAbout differentiates itself from other solutions by importing Quicken and Mint data. CountAbout also takes steps to keep user imported data safe from malicious third parties. The app uses Amazon Web Services for its server space as well as its digital security requirements. And a third-party data aggregator is employed for retrieving and transferring users’ financial information. Using a data aggregator instead of handling the data in-house means that cybersecurity specialists protect user information. Once the aggregator delivers the data, CountAbout deploys multiple levels of encryption to keep that data safe on its servers. In 2012, the Carpenters ended up buying the chair without going home to check their budget sheet. But today, that’s not a dilemma for CountAbout users. To provide users with more convenience, CountAbout is overhauling its mobile app to function more like its web-based platform. Currently, mobile functionality is limited to viewing account information and approving and adding transactions. While those functions are useful for getting an instant snapshot of your financial situation, soon the app will allow users to actively manage their money and take greater control. The app will also feature multi-factor authentication to further protect user information. If users ever encounter a problem connecting with their bank, they have to re-enter their password or a verification code. Currently, this can only be done on the CountAbout website, but future versions of the mobile app will also allow users to navigate this security safeguard.